Few African destinations can compete with Victoria Falls for sheer visual drama. At its full, roaring peak, the ‘Smoke that Thunders’ is one of the continent’s most mesmerising sights, leaving visitors lightly soaked and absolutely exhilarated at the same time. The falls are on the mighty Zambezi River, which means you can see them from either Zambia or Zimbabwe. Arguably, the best on-foot views are from Zimbabwe’s side – so lovely, in fact, that explorer David Livingstone declared they must have been gazed on by angels. 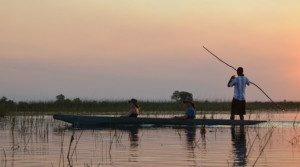 But while these views have won it international fame, Zimbabwe is so much more than Victoria Falls: it is one of Southern Africa’s most rewarding big game safari destinations. From the raw power of Victoria Falls to barely-visited game reserves, Zimbabwe’s natural beauty is part of what makes it such an attractive destination. Equally attractive is the wide range of Zimbabwe accommodation, suited to both the bush-camper and the luxury safari enthusiast. Located in all of Zimbabwe’s top destinations – from Victoria Falls to Hwange National Park and from Mana Pools to exclusive private reserves – lodges and hotels in Zimbabwe are varied in style but share one thing: superb service that always comes with a smile! Whether it’s a canoe trail safari or a getaway in a luxury safari lodge, our selection of top accommodation in Zimbabwe will ensure you’ll enjoy a smooth and memorable stay. There is something quintessentially African about a Victoria Falls safari holiday. Visit this iconic destination and fill your days with big game safaris, adventure activities and thrilling wildlife interactions, all of which centre around the main attraction: the Zambezi River and its dramatic waterfall. 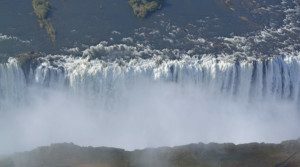 In full flood, Victoria Falls throws up billowing clouds of soaking mist that give this world wonder its local name – Mosi-oa-Tunya, ‘The Smoke That Thunders’. The largest uninterrupted sheet of falling water in the world, unspoilt Victoria Falls sits on the border of Zimbabwe and Zambia. On the Zimbabwe side, paths wind in and out of dripping rainforest to reveal extensive views of the Main Falls, while across in Zambia the Knife-Edge Bridge takes you exceptionally close to the cascading water and a steep footpath leads to the Boiling Pot – a huge whirlpool at the base of the falls. One of Zimbabwe’s smaller and less well-known reserves, Matobo National Park is set just outside the town of Bulawayo and is home to several surprises. 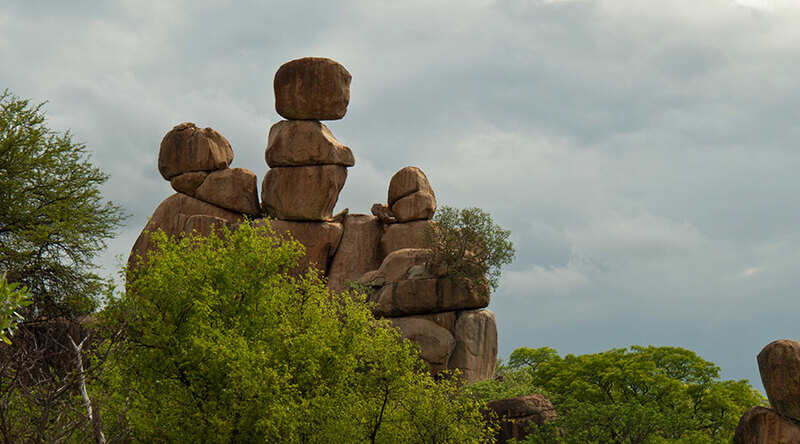 Matobo means ‘bald heads’ in the local Ndebele language and it’s easy to see why: the park’s signature feature is its collection of granite outcrops, weathered into stacks of bare, balancing boulders. It is among these boulders that the grave of English colonialist Cecil Rhodes is found as well as 3 000 examples of Khoi rock art and even earlier Stone Age settlements. The name ‘Mana’ means four in the local Shona language and refers to the four large pools situated in the interior of the park. 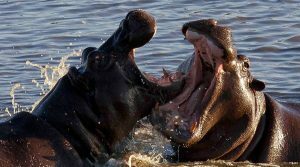 This abundance of water acts as a magnet for all manner of wildlife: elephant, buffalo and waterbuck graze on the wide green floodplains; predators such as lion, leopard and wild dog are often seen; and the rivers and pools are home to large populations of hippo and crocodile. The bird watching is superb – highlights include fish eagles, water fowl and colourful clouds of carmine bee-eaters. Hwange is the largest and best known of Zimbabwe’s national parks. At 15 000 km² this immense wildlife reserve is packed with big game and is famous for massive numbers of buffalo and – in particular – its elephant herds. 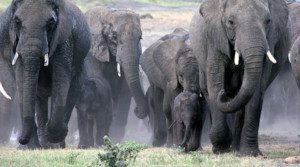 Indeed, Hwange’s 30 000-strong elephant population is the second largest in the world after the Chobe National Park in neighbouring Botswana. But it’s not just elephants that draw visitors to Hwange National Park; this Big 5 reserve has a well-deserved reputation for predator sightings too. Lion, leopard and cheetah are regularly seen, and night drives reveal the smaller nocturnal predators – serval and civet cats, and bat-eared foxes. Then there are the rarer animals: Hwange is an important breeding ground for endangered African wild dog, black rhino and the beautiful roan and sable antelopes. 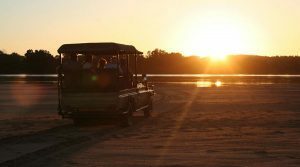 Explore Southern Africa on most and best big five…. Heading to South Africa’s famous Kruger National Park…. chitake Spring is a hidden gem nestled deep in Mana Pools ….